Jockey, the innerwear brand, has announce a unique pop-up museum to bring alive its legacy from August 25 to 27 at The Courtyard, Phoenix Marketcity, Bangalore. Founded in 1876, Jockey has a rich history as one of the apparel industry’s original pioneers and innovators. 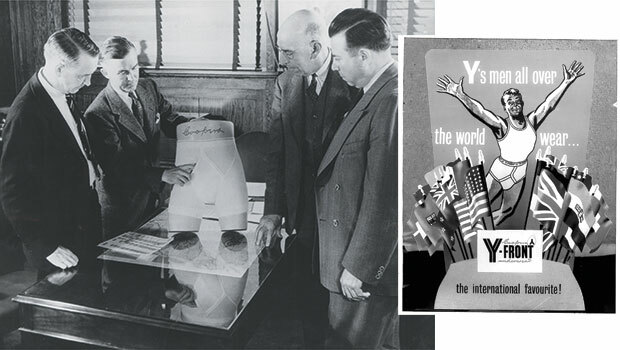 Whether it’s inventing the first ever men’s brief in 1934, developing underwear for astronauts of NASA’s Apollo Mission in 1962, or setting benchmarks in the innerwear category with ground-breaking advertising, Jockey continues to define the industry. The pop-up museum is to celebrate the history of Jockey and relive its incredible journey by bringing alive key milestones such as the invention of the brief in 1934, the revolutionary Y-front design of 1935, the ‘Cellophane Wedding’ in 1938, which was the world’s first fashion show for innerwear, the very first innerwear TV commercial in 1958, the special line of underwear created for NASA’s Apollo mission in 1962, introduction of the first men’s bikini brief in 1969, pioneering the use of box packaging for innerwear in 1972, the first ever innerwear fashion show in India in 1995 and many more. In the same year it entered India through an exclusive licence agreement with Page Industries Ltd as known today. This year also marks 70 years since Jockey stitched the brand name on the waist band of their innerwear. At a time when underwear was not openly spoken about and underwear brands put their names on their products only for legal reasons, Jockey wanted to show the world how proud it was of its products. In what seemed like a small step, Jockey embroidered its name onto the waistbands of its products, and was the first brand to ever do so. Jockey’s branding of the band was path-breaking, and broke out into a global trend seen across brands even today. Whether you’re attending the Jockey Pop-up museum or watching it from afar, join the conversation using #ThereIsOnlyOne on Twitter @JockeyIndia and Instagram @jockeyindia. Also visit the Jockey India Facebook page for Live updates on Jockey’s 141 year celebration. The Jockey pop-up museum will also be held in Mumbai from September 8 - 10, 2017 at High Street Phoenix, Lower Parel.